Bees are wonderful little creatures. They are dancing social venomous kamikaze insects that make sweet nectar (sweet sweet nectar). Not only that, they are also depended on to support many of our agriculture systems, so without them we could have a huge food problem. Every year, more than half of the honeybee hives in the United States are taken to California to pollinate the state’s almond crop. I remember my first bee sting; I was holding out an offering of honey in a spoon to a hive that had developed under the awning of our family house. It did not go well. I was shocked that I had been attacked for being generous- one of my many early lessons that nature doesn’t really care about your intentions, only your actions. Childhood stories aside, it is now the bees that are suffering. Bees across the US are in trouble, primarily from viral infections that have been associated with the varroa mite, a parasite that can weaken the bees’ immune system. What is at issue is how much of this population decline is caused by the mite, and how much could be attributed to the abundant use of pesticides, specifically, a category of insecticides called neonicotinoids. These insecticides have also been shown to weaken the immune systems of bees leaving them vulnerable to, you guessed it; mite infestations and viral infections. Neonicotinoids adhere to honey bees’ bodies when they visit flowers, and can cause further complications affecting the central nervous system of the bee, causing paralysis or in some cases, disorientation so extreme, the bee cannot find its way home. This decline in bee populations has become such a concern, it has caught the attention of the US government. Proposed in the 2015 national budget is over $71 million for the USDA to focus on bees alone. Step in the growing recreational and home beekeeping hobbyists movement. Could these amateur beekeepers be the bees salvation? Urban and suburban beekeeping has countless benefits including: more productive backyard and rooftop gardens, increased greenery and plant propagation, while also boasting lower hive disease rates. Could urban hives be islands of productivity hidden from disease and far from the problems found in traditional or industrial apiaries? Not everyone is excited about this trend and some in the industry believe it is these amateur bee keepers that are causing the problems. Bees can be difficult to keep if you are not adequately informed. There are newer technologies that boast making bee keeping easier, but the basics of keeping a healthy colony cannot be overlooked. The fantasy of a self sustaining apiary for the whimsical backyard bee keeper usually lead to neglect and the collapse of the hive. Among the responsibilities of the hive keeper are safety concerns, hive and colony maintenance, including food and climate needs. Diseases are common, so monitoring the colony and addressing outbreaks is essential. There can be a wide knowledge gap even within the hobbyist community, and amateur keepers who allow hives to become more susceptible create the conditions for disease to spread. So what is going on here? That is what the USDA aims to solve. As for the debate over amateur beekeeping, the best solution is education. 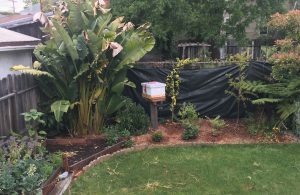 A bee box should not be seen as a trendy backyard object that provides you with some honey, they are living social beings that depend on you for food, shelter, and care. 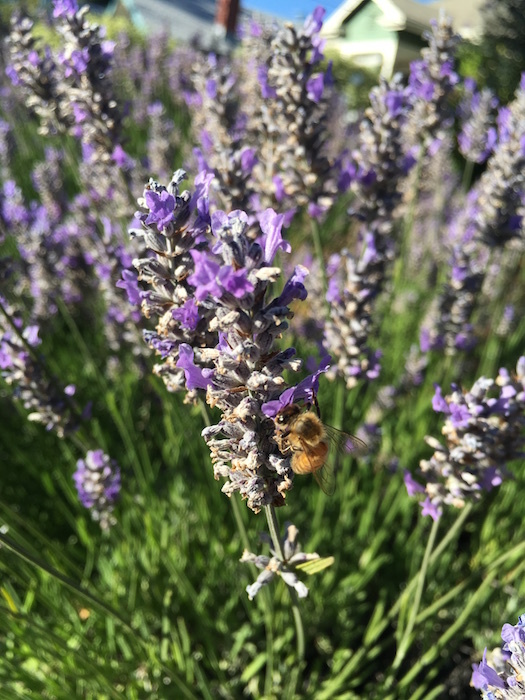 If you are looking for something lower maintenance (or maintenance free), that can help your garden flourish and assist with our pollinator problems, look no further than the native bee. What are native bees? You may not be aware, but honey bees originated from Europe, Africa, and Asia. There are no honey bees native to North America, but we do have our own species of solitary bees. Many have not heard of or are aware of the 4,000 types of bees native to North America, except for perhaps the bumble bee. This is probably because their only job is to pollinate, and they do not produce large amounts of honey. They are, however, excellent pollinators. It takes 400-500 mason bees to produce 18 tons of apples. It would take 30,000 honey bees to accomplish the same task. 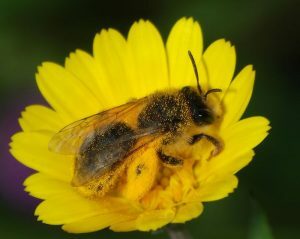 Solitary bees are harmless, not aggressive and do not swarm. They rarely if ever sting and are not as painful as a honeybee sting. As their name suggests, they tend to be less social, reducing their exposure to disease, and are more diverse than the few breeds used for honey. Since they do not have hives or make honey, they are not commercially viable other than for pollination purposes, but let’s not discount their potential! These tireless workhorses; the leafcutter bee (Megachile), mason bee (Osmia), and Harebell Bee (Chelostema campanularum), among others, may be the future and the answer to our pollination crisis. It is very easy to invite these gentle native bees into your garden by making a bee post, trap nest, or diy bee house with some old wood and a drill. Hopefully scientists will solve this mystery soon, but if you are looking to help now, consider your options. Educate yourself by attending a local bee-keeper meeting before buying a honey bee apiary, and if you are just looking to give pollinators a boost, consider inviting some native bees into your garden.